Home > You Don’t Have to Dread Cleaning Your Bathroom Ever Again With These Hacks! Soap scum. Hardened body fluids (hey, it has to be said). Hardened deposits of toothpaste and saliva on the sinks. Mold, mildew, and scum creeping from the unseen crevices of the center of all bodily functions and hygienic measures. These are all things that you will encounter when you clean your bathroom. Talk about adulting, huh? Many of us millennials, for better or for worse, have never had to really get down and dirty when it comes to clearing that scum off the walls once until we’ve moved out. Sure, most of our hygienic necessities have come a long way from their predecessors – showers are now smart, faucets are automated, and toothbrushes now run on Bluetooth (to the point where even looking after your oral hygiene is the easiest thing to do) – more on Toothbrush Best for this – but cleaning is going to be a long ways away from being automated. That being said, you’ll need a whole lot of elbow grease and a whole lot of determination to get these jobs done. Fortunately, we’ve got you covered – we’ve limited the bathroom to three major cleaning problem areas – the sink, the tub/shower, and the toilet. Cleaning the bathroom and keeping it hygienic is a chore that many despise. The task is more difficult if you have a number of people living in your household as a mess can be created at any time. Considering that the bathroom is used daily, your sinks, tubs, and toilets deserve a little more attention to ensure that your living space is hygienic and disease free. To make the task of cleaning your bathroom a little easier, here are a few tips and solutions on how to keep your bathroom clean and hygienic. Everything But The Bathroom Sink…. Sinks can be messy as they endure a day to day onslaught of dirt and all sorts of filth from dribbles of toothpaste to balls of tangled hair. The only way to keep it clean and hygienic is with regular cleaning. Using an all-purpose bathroom cleaner can help remove light films of grime. However, if you encounter hard deposits that are a harder to remove, you might need an abrasive cleaner that rinses off the grunge on ceramics easily. The rim and various fixtures can also be kept sparkly and clean with an all-purpose cleaner and cleaning cloth. Scummy, Grimy Tubs And Showers Galore. The tub or shower should be cleaned every day because when the residue or scum from soap solidifies or accumulates the process of cleaning gets tougher. The shower and the rims of tubs provide the perfect hiding places for trapping moisture, which presents the perfect environment for mold and mildew to grow. If you put off the job of cleaning, the deposits tend to ossify after some time, making your bathroom a bedrock of possible diseases. To clean properly, you must use abrasive products and scrubbing pads to remove deposits on the tub and floor. A toothbrush does a good job of eradicating the built up deposits on the fixtures or rims. Nobody ever has a good time cleaning the toilet, but cleaning the toilet is crucial to the hygiene of the bathroom. 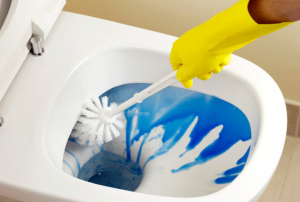 To clean a toilet properly, place a liquid or granulated toilet cleaner and let it sit for 20-30 minutes. The resting time is crucial for dissolving and killing germs. You must equip yourself with a quality toilet brush to clean properly. If your brush is old, you must replace it immediately with a curved brush that can clean all areas of the toilet rim. If you want to get rid of those stubborn rings that develop on the toilet, rubbing a pumice stone directly on the ring should take care of your problem promptly. 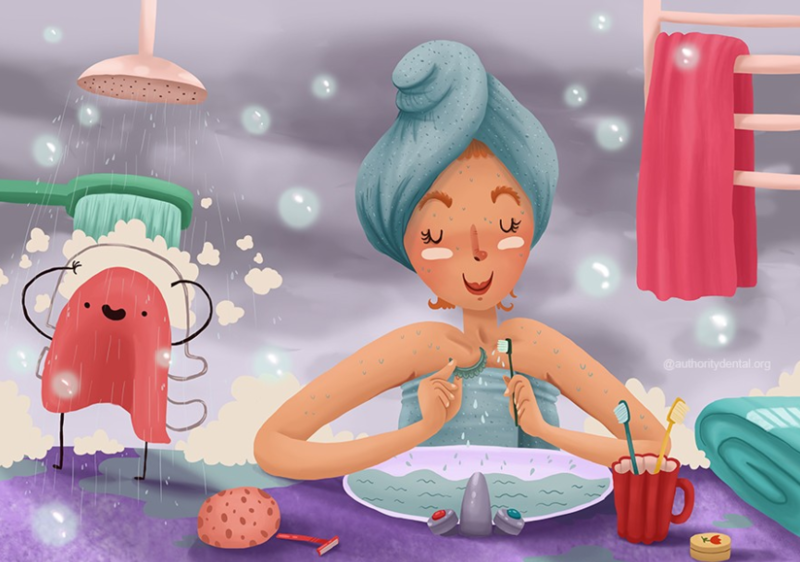 Never be afraid of maintaining your bathroom to be the center of all hygiene – with these pro tips, you’re guaranteed to keep them spotless for when mom comes around.